Kennebunkport, Maine founded in 1653, is a beautiful and quaint New England seashore resort town. Adding to its cache, it is the Summer home of two former United States Presidents, George H.W. Bush and George W. Bush, and their families. 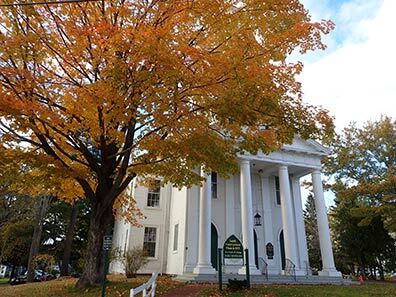 Stunning boutique hotels, wonderful restaurants, pristine beaches, galleries, boutique shopping, horse-drawn carriages, iconic trolleys and so much more, makeit a perfect Autumn (or any season) getaway. 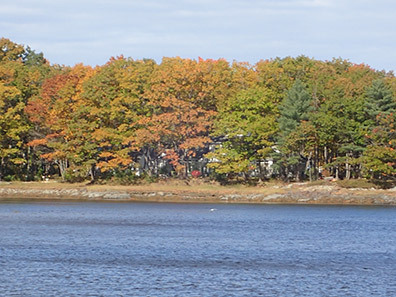 We traveledto Kennebunkport in late October 2018 to experience Autumn in Maine. Althoughimpressively beautiful in any season, there is something about Autumn thatdraws visitors to this New England seashore resort town to experience nature'sannual spectacle when the leaves turn from shades of green to breathtakinglyvibrant shades of reds, oranges, golds, and yellows, as their acclaimedpostcard-perfect displays attract artists, photographers, and nature lovers. We stayed atthe gorgeous Grand Hotel, part of the Kennebunkport Resort Collection, a luxury boutique 17-room and 2-suites hotel located in the heart of the seaside resort of Kennebunkport where every luxury awaited from a welcome glass of sparkling wine, to daily "light bites" of eggs, yogurt, and coffee cake to start our day, with infused water, coffee, and tea available throughout the day, and complimentary parking included in the price. The hotel has a total of 19 guestrooms comprised of 2 suites on the first floor, 8 guestrooms on the second floor, and 9 guestrooms on the third floor to provide maximum privacy. We stayed in a stunning corner suite on the first floor where we had a private veranda with a table and high chairs fronting Ocean Avenue, and a second entrance on Chase Hill overlooking the impressive Maine Art Hill collection of Wind SculpturesTM - Kinetic Works of Lyman Whitaker. We especially loved the old-fashioned key to our suite rather than a plastic key card found at most hotels. 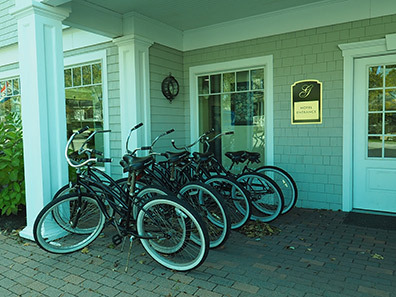 The hotel has complimentary bikes for guests to use and even though it was a bit chilly we took a lovely early morning ride discovering the back streets of Kennebunkport. 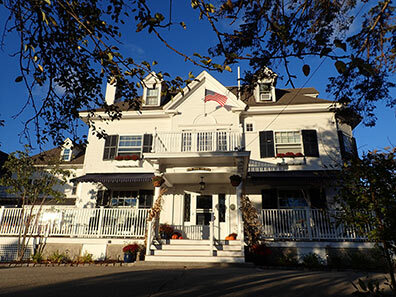 Although we visited during Autumn, for guests visiting during the summer months the Grand Hotel provides a KRC evening shuttle to the restaurants, complimentary kayak, canoe, or stand-up paddleboard rentals from Kennebunkport Marina, Kennebunk beach parking permits, and beach towels and chairs. 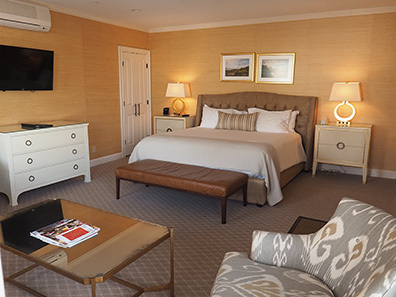 Located on the corner of Ocean Avenue and Chase Hill Road of Kennebunkport, the Grand Hotel was perfectly situated for leisurely strolling to explore its many offerings. With its central in-town location and gracious hospitality, the Grand Hotel is the perfect getaway. 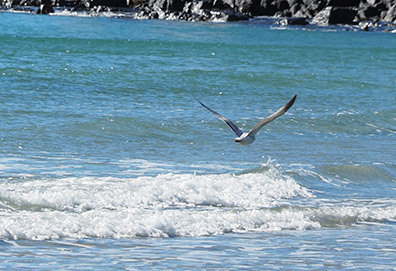 Read more about our experience staying at the Grand Hotel in the Hotels and Resorts section. Art abounds in Kennebunkport, and for guests staying at the Grand Hotel, Maine Art Hill begins in the attractive reception area where curated art by local Maine artists grace the walls. There are also galleries located next door and across the street from the hotel. 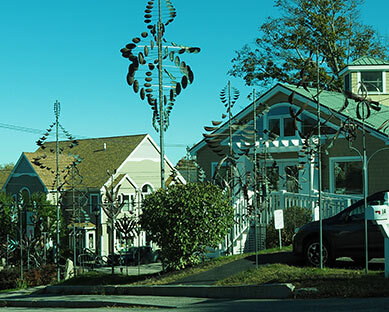 We especially loved seeing the Wind SculpturesTM - Kinetic Works of Lyman Whitaker that graced the hill like an enchanted garden of beautiful flowers. Fascinating to watch, the sculptures captured our imagination with their ingenious designs. We also enjoyed the large-scale paintings by the artist Craig Mooney, whose work we first discovered during our stay at the Grand Hotel, and later at the Maine Art Hill galleries. 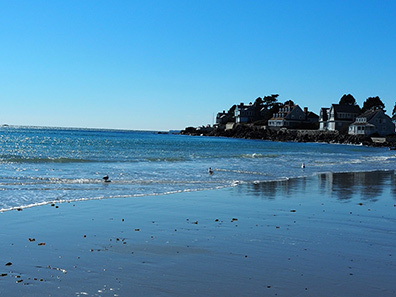 Ocean Avenue, the main street in Kennebunkport, is lined with eclectic boutiques andart galleries providing lots of shopping experiences depending on your interest and your budget. For those that like to bring home a "taste" of where they visited, there are many gourmet shops selling Maine products including maple syrup and blueberry products, twoof Maine's signature products. For blueberry lovers, during our shop visits, we found blueberry beer, blueberry butter, blueberry jam, blueberry jelly, blueberry maple syrup, blueberry marmalade, blueberry soda, blueberry vinegar, and more. Long live the antioxidants! 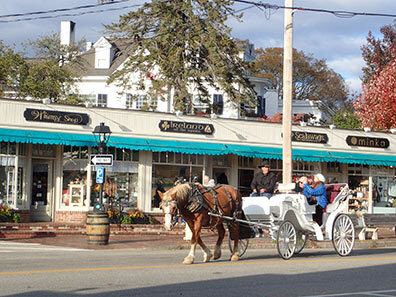 One of the iconic sights in Kennebunkport, Maine is the beloved trolley. 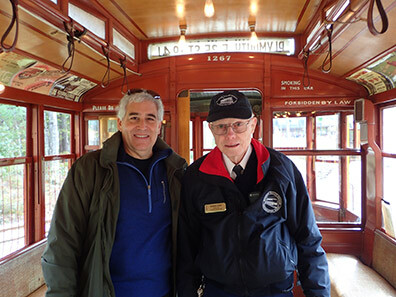 In keeping with its time-honored tradition, we visited the Seashore Trolley Museum, which is the largest electric railway museum in the world. 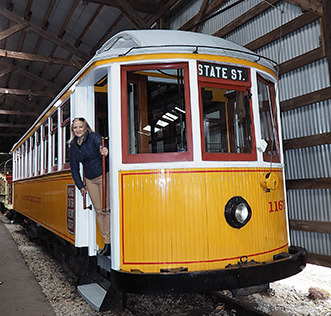 During the informative and entertaining narrated 1.5-mile ride along the winding tracks of the original Atlantic Shore Line Railway, we learned about the history of the electric trolleys beginning with their inception in Kennebunkport in 1893. From our view from the trolley windows, the rich and vibrant reds, yellows, oranges, and golds of the Autumn leaves were perfectly framed like a Norman Rockwell painting. 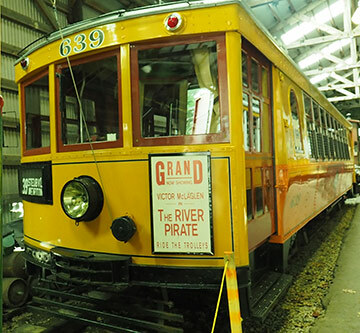 The Seashore Trolley Museum is open from 10:00 am until 5:00 pm with the last trolley departing at 4:15 pm from May through October rain or shine. They are open daily from Memorial Day in May through Columbus Day in October. They are only open on weekends in early May and late October, and are open the first two weekends (Friday, Saturday, and Sunday) in December. Admission: Adults (16-60): $12, Adults (60+): $10, Children (6-15): $9.50, Children (3-5): $5.00, Children (Under 3): Free. 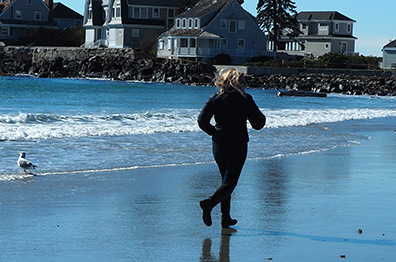 The Kennebunkport shoreline is a draw no matter the season with its long stretch of pristine sandy beaches that hug the coast like a beautiful necklace. 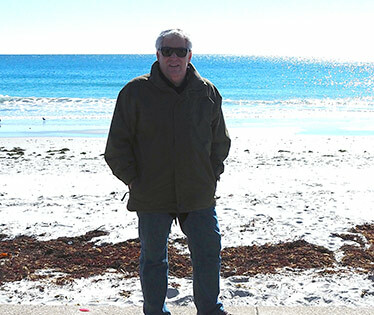 We took adrive down Beach Avenue and stopped to explore and walk along its many beaches including Gooch's Beach, Middle Beach, Mother's Beach, and Kennebunkport Beach. Note: Although there is on-site parking, parking permits or non-resident parking passes are required from July through Labor Day. Cheers! 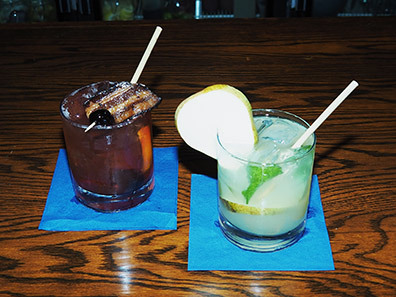 We had creative and tasty cocktails at The Burleigh restaurant located inside the historic Kennebunkport Inn, which was a lovely glimpse into the golden years of Kennebunkport. Burleigh Thompson built his gracious Federal style mansion in1899, and in 1926 it became an Inn. 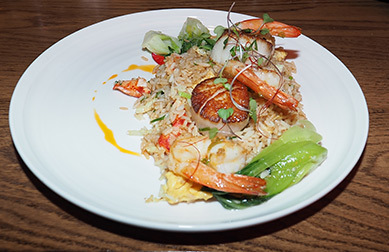 The Burleigh restaurant opened in 2017 and the bar has an innovative cocktail menu as well as Mocktails (no alcohol drinks), wines by the glass and by the bottle, aselection of local draft beers, as well as domestic and international beers. 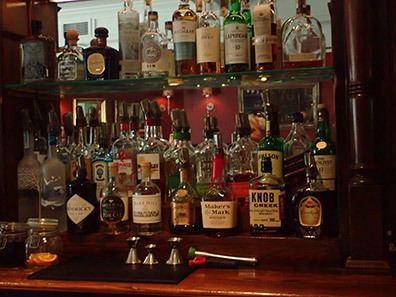 The Burleighhas a daily Happy Hour from 3:00 pm until 5:00 pm and serves dinner nightlyfrom 5:00 pm until 9:00 pm. 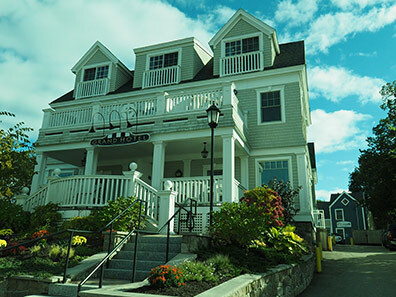 The Burleigh restaurant and the Kennebunkport Inn are part of the Kennebunkport Resort Collection. Maine is famous for its lobster and The Boathouse (located inside The Boathouse Waterfront Hotel) has a menu teaming with tempting lobster and seafood dishes along with "land-based" dishes to appeal to a wide variety of palates. 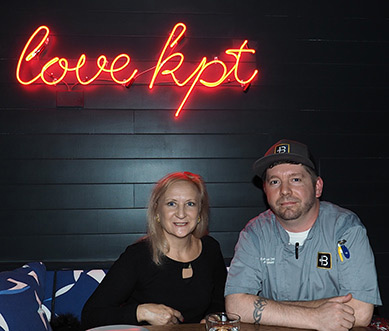 The Boathouse restaurant opened in May 2018 on the banks of the Kennebunkport River, and ifit was closer to the water you would need to wear a flotation device to keep afloat while dining in this chic restaurant where Executive Chef John Shaw is the talent in the kitchen. A few of the highlights of our exceptional dinner were the Lobster Spring Roll made with mango, cucumber, mint, cilantro, and cabbage, the Lobster Raviolo with house made saffron pasta, local squash, in a sun-dried tomato cream, Beef Rendang made with Maine Pineland Farms braised short rib, turmeric sushi rice, crispy fried Brussels sprouts, and picked eggplant, and the Seared Shrimpand Scallops made with lobster fried rice, sesame egg, and baby Shanghai bok choy. The Boathouse Restaurant serves lunch and dinner daily and is open Monday through Thursday from 12:00 pm until 9:00 pm, Friday and Saturday from 11:00 am until 10:00 pm,and on Sunday from 11:00 am until 9:00 pm. The restaurant also celebrates Happy Hour Monday through Friday from 3:00 pm until 6:00 pm. The restaurant has a special New Year's Eve (December 31) celebration: Champagne & Caviar Party! Check their website for additional information. The restaurant is closed Thanksgiving Day (the third Thursday in November), Christmas Eve (December 24), and Christmas Day (December 25). Read about ourdining experience at The Boathousein the Restaurants section. 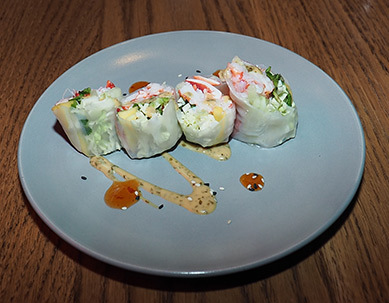 Tempt your palate in the Chefs' Recipes section where Executive Chef John Shaw graciously shares his recipes for Lobster Spring Rolls with Citrus Dipping Sauce and Tuna Poke Bowl, until you can personally visit the restaurant. For more information or to make reservations, please visit their website: www.boathouseme.com. 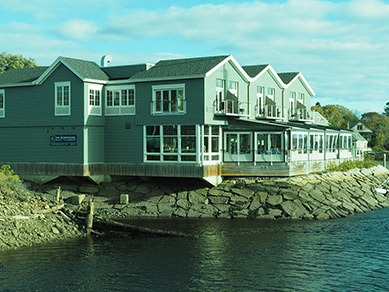 The Boathouse restaurant and The Boathouse Waterfront Hotel are part of the Kennebunkport Resort Collection. 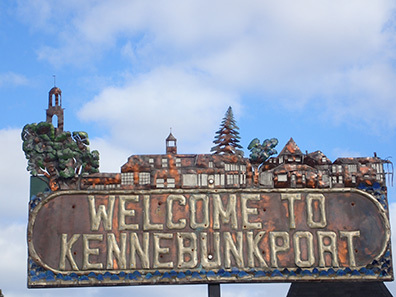 Read more about our experiences in Kennebunkport, Maine in the Hotels and Resorts, Restaurants, Chefs'Recipes, and Adventures sections. © November 2018. Luxury Experience. www.LuxuryExperience.com. All rights reserved.